David Daniels most recently served as Ohio Department of Agriculture director. 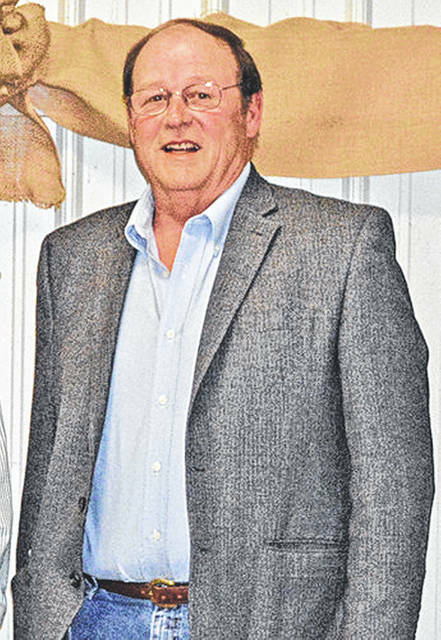 A week after he was abruptly fired following more than six years as Ohio Department of Agriculture director, Greenfield native David Daniels said he still has not been given a clear reason why he was terminated. Daniels said he was called to Ohio Governor John Kasich’s office on Oct. 20 for a meeting with the governor’s lieutenants. Daniels said it was no secret that he and Kasich disagreed on how to tackle the problem of toxic algal blooms in Lake Erie. He said Kasich signed an executive order regarding the issue back in June or July, and that for a long time Daniels had reservations about what direction the order was leading. He said the order affects about 7,000 farms and two million acres of farmland. The Associated Press reported that a task force will evaluate the governor’s plan. Tim Derickson, a former Republican state representative from Butler County who served as Daniels’ assistant director, has been sworn in as interim director of the Department of Agriculture, Kasich’s office announced. The release did not state why Daniels was let go, according to the AP. Daniels said he enjoyed his time as agriculture director and having the opportunity to work with some of the top professionals in the agriculture field. He said he is not sure what he will do next, but he has some things he’d like to catch up on, including work around his home in the Rocky Fork Lake area. Beyond that, he said he’ll wait and see what opportunities present themselves. “I’d like to think we’ve done a lot to increase agriculture in the state of Ohio, and I look forward to wherever the road takes me next,” Daniels said. Daniels’ political career started when he became a Greenfield City Council member in 1984. Daniels served as Greenfield mayor from 1988 to 1995, as a Highland County commissioner from 1997 to 2002, as a state representative from 2003 to 2010, and as a state senator from 2011 to 2012. He had been director of the Ohio Department of Agriculture since February of 2012.